Note: You can also check out Excalibur, which is a web interface for Camelot! Here's how you can extract tables from PDF files. Check out the PDF used in this example here. There's a command-line interface too! Each table is a pandas DataFrame, which seamlessly integrates into ETL and data analysis workflows. 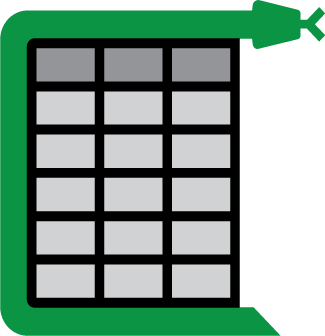 Export to multiple formats, including JSON, Excel, HTML and Sqlite. See comparison with other PDF table extraction libraries and tools. The easiest way to install Camelot is to install it with conda, which is a package manager and environment management system for the Anaconda distribution. Great documentation is available at http://camelot-py.readthedocs.io/. The Contributor's Guide has detailed information about contributing code, documentation, tests and more. We've included some basic information in this README. Camelot uses Semantic Versioning. For the available versions, see the tags on this repository. For the changelog, you can check out HISTORY.md. This project is licensed under the MIT License, see the LICENSE file for details.